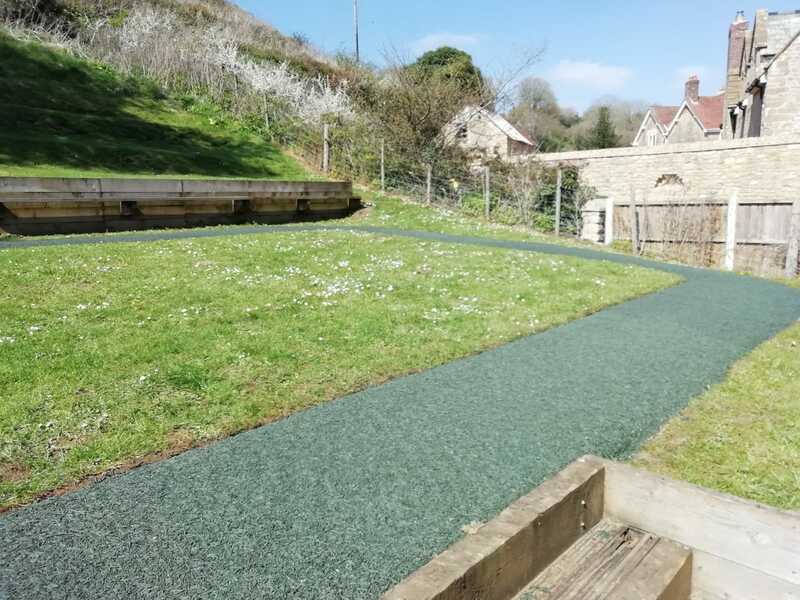 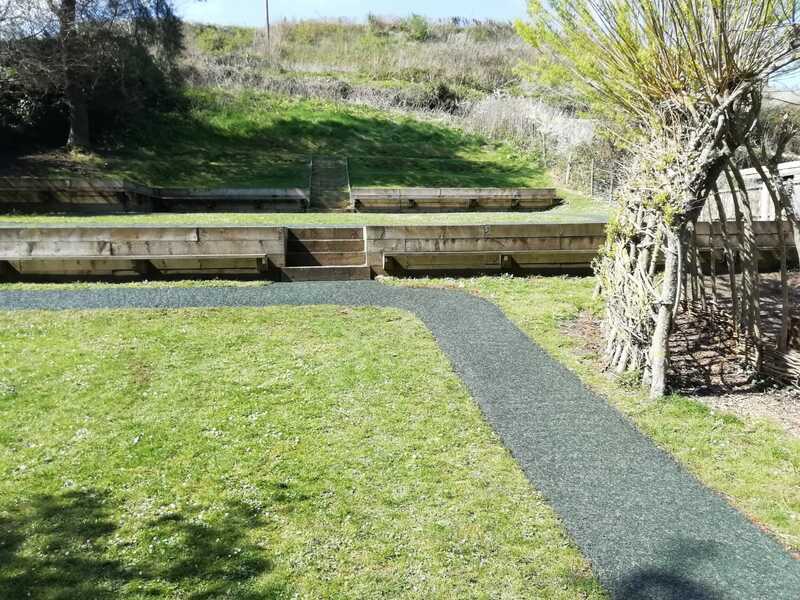 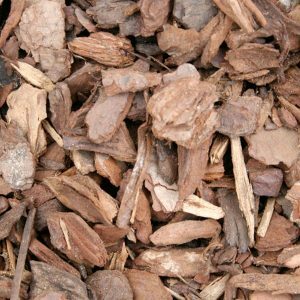 All weather running track made from our bonded recycled rubber shred PlayBond safer surfacing. 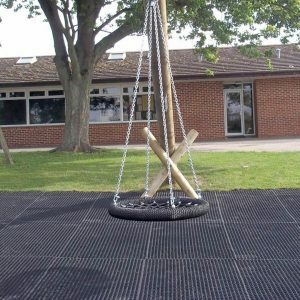 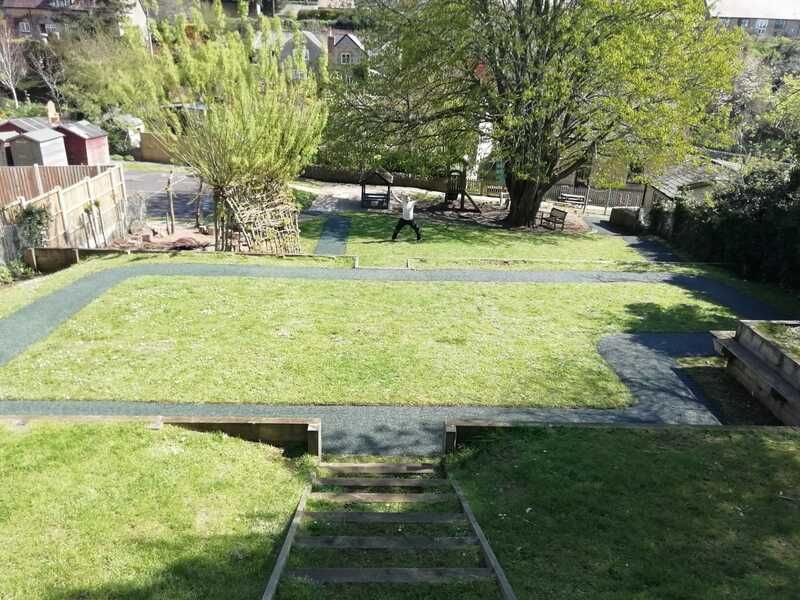 Can be installed straight onto grass using a heavy-duty geo-textile membrane, which can eliminate the need for expensive groundwork. 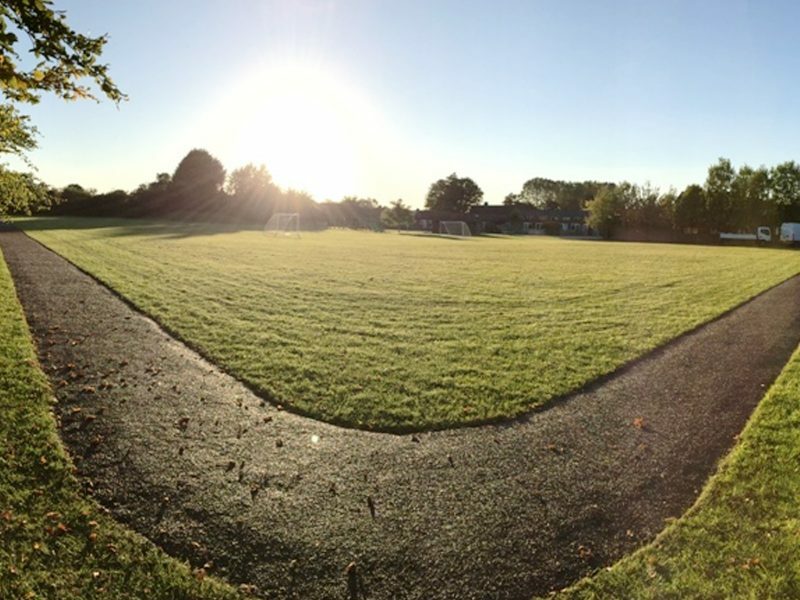 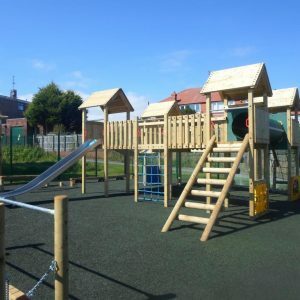 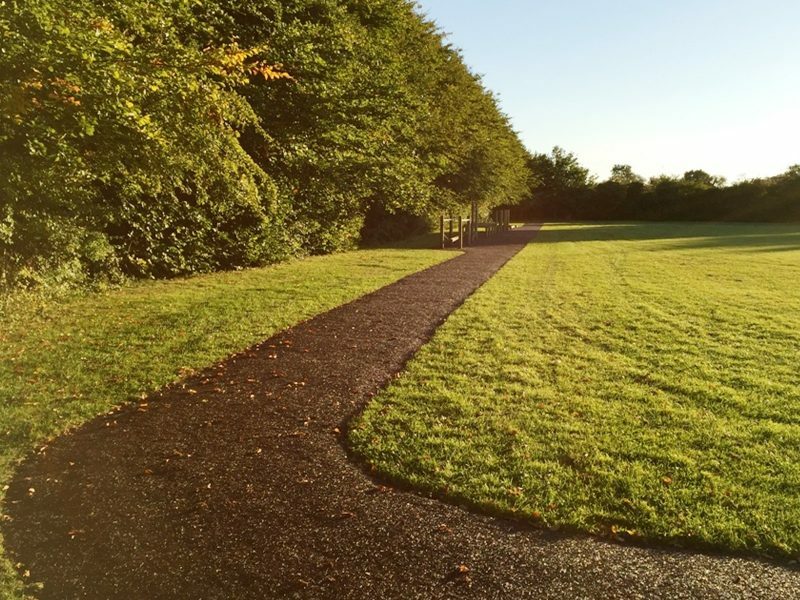 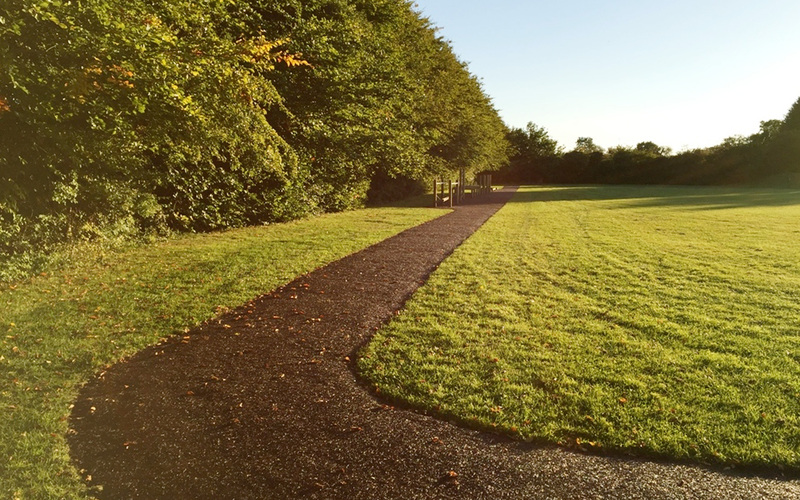 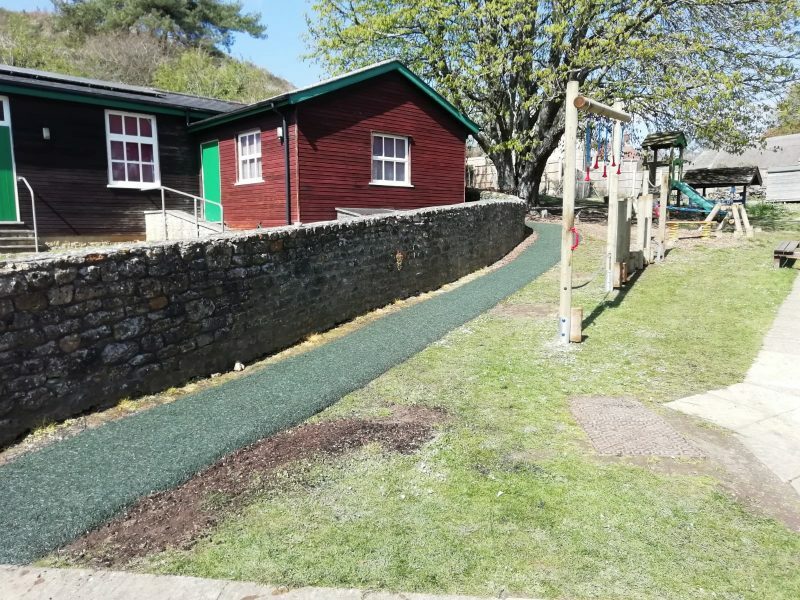 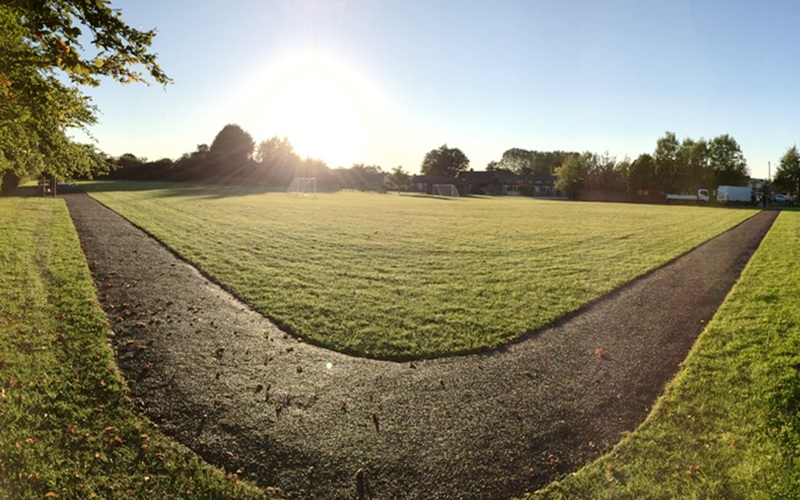 Running track can be installed at any length/width required and is ideal for helping children with their fitness, as well as using the track for initiatives such as The Daily Mile Challenge. 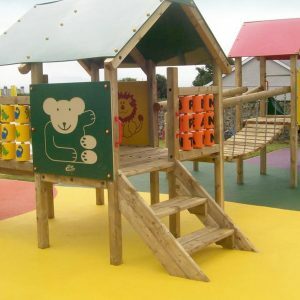 Contact us for prices for the PlayBond Running Track.